This is the play that Philadelphia Eagles QB Michael Vick connected with DeSean Jackson on the 88-yd TD pass on the first play from scrimmage during the Monday Night Football game against the Washington Redskins. 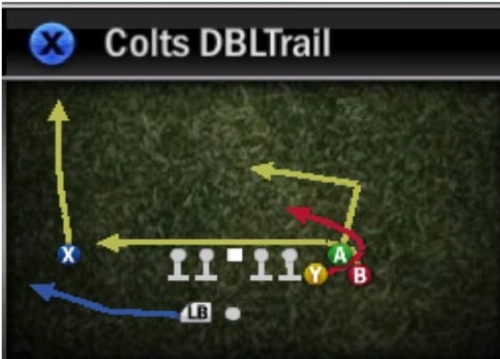 The Colts don’t use the Bunch formation very often, but when they do, this is one of the plays they like to run out of it, especially in the red zone. 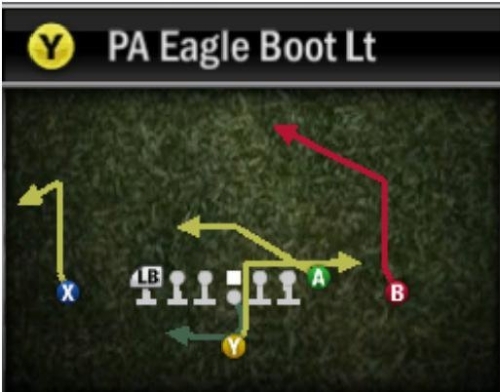 This is a new formation for Madden NFL 12 where Miles Austin will line up in the slot. 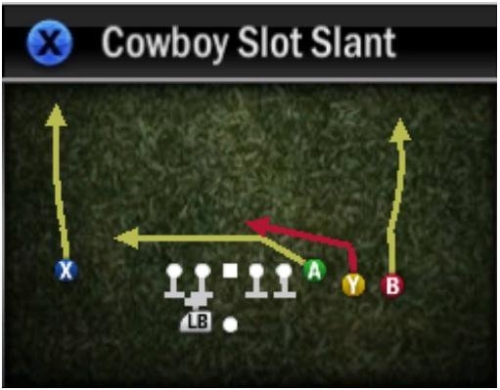 The Cowboys like to use this play to create one-on-one matchups in the middle of the field with TE Jason Witten and WR Miles Austin. Witten will run a quick drag clearing out the middle while Austin will run a slant in behind him. This play was used in a week 7 game versus the Giants. Bills Head Coach Chan Gailey was one of the first NFL coaches to start using the Pistol going back to his days when he was the offensive coordinator in Kansas City. 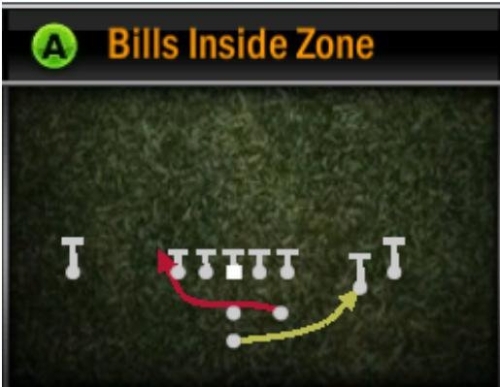 In this new formation to Madden NFL 12, The Bills line up HB Fred Jackson to the right of the QB and HB C.J. Spiller directly behind in this Pistol set. 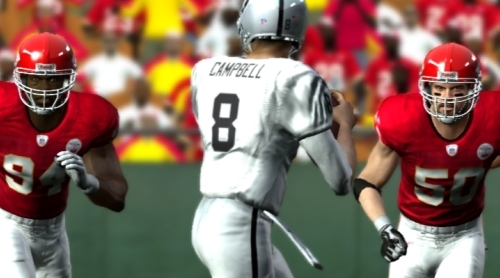 Jackson will receive the handoff going to the left while Spiller will fake to the right. When it’s a passing situation and the Cardinals need to pick up a crucial first down, the ball is more than likely going to WR Larry Fitzgerald. 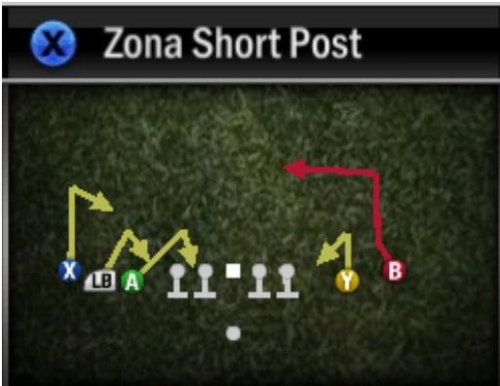 On this play the Cardinals line up in an Empty set with Fitzgerald lining up to the far right. He’ll run an inside dig type route while the slot receiver runs a short hitch in front drawing up the linebackers to create the opening. This play was used in a week 2 contest at Atlanta.